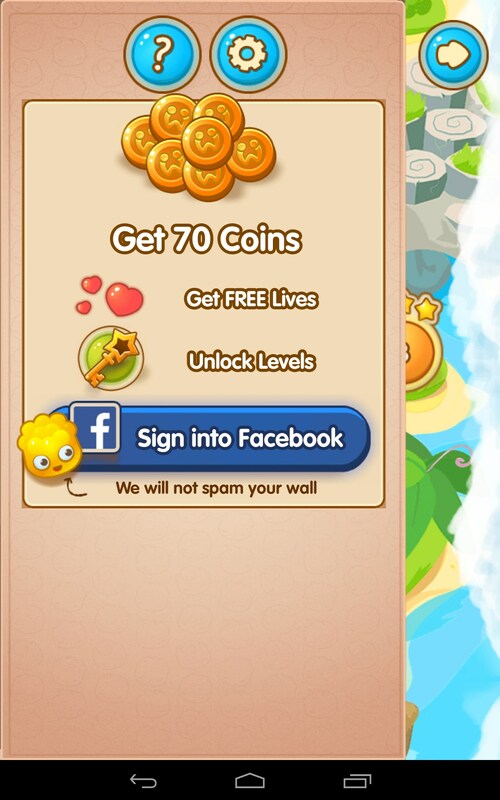 Jelly Splash – Games for Android 2018 – Free download. 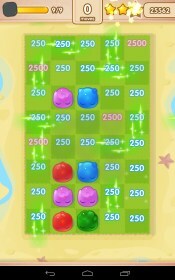 Jelly Splash – Wiggly match 'em style play with some jiggly twists. 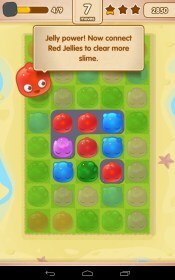 Jelly Splash for Android is wiggly jiggly, match ‘em style fun with cute and yummy looking graphics. 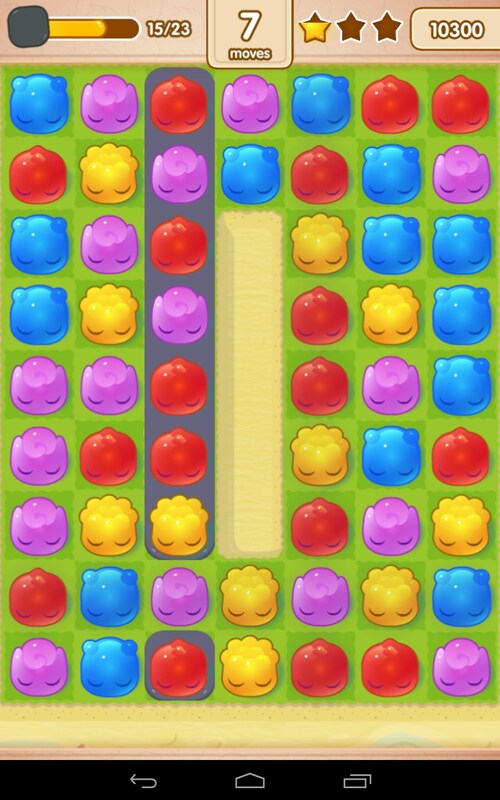 Jelly Splash looks like little mounds of colorful jell-o placed on a match 3 style game board. 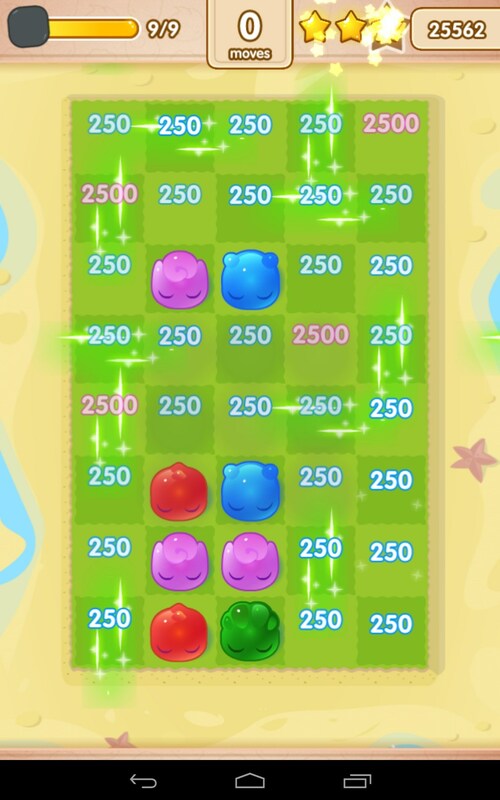 The little jellies are lined up on a grid, and like all match ‘em style games, you just slide your finger across the screen to connect matching colors and clear the board. 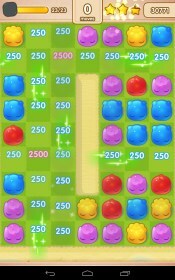 Only, the twist here is you can match more than 3 and even make matches on the diagonal. 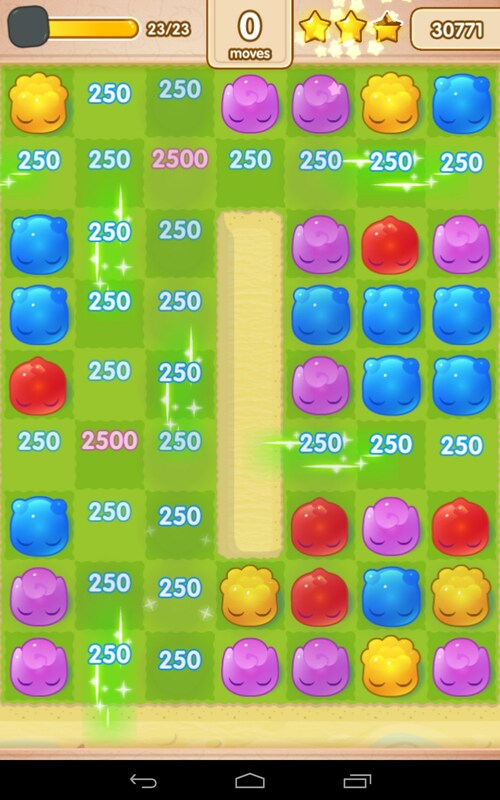 Actually, the whole point of the game is to make as many long and twisty matches as possible, thereby racking up the points and the visual appeal. 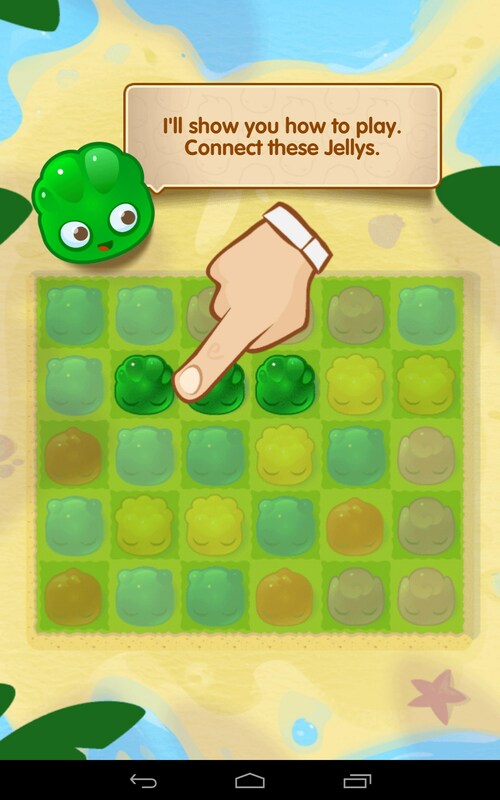 It’s very satisfying to drag your finger and figure out how to bend and twist to connect as many jellies as possible. 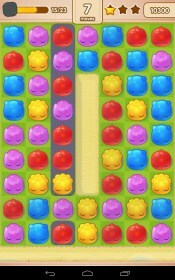 Then just release to watch them all pop with adorable cuteness. Jelly Splash is a little like eye candy; everything looks so yummy and delicious, I just want to gobble them all up; good thing jell-o is low in calories! 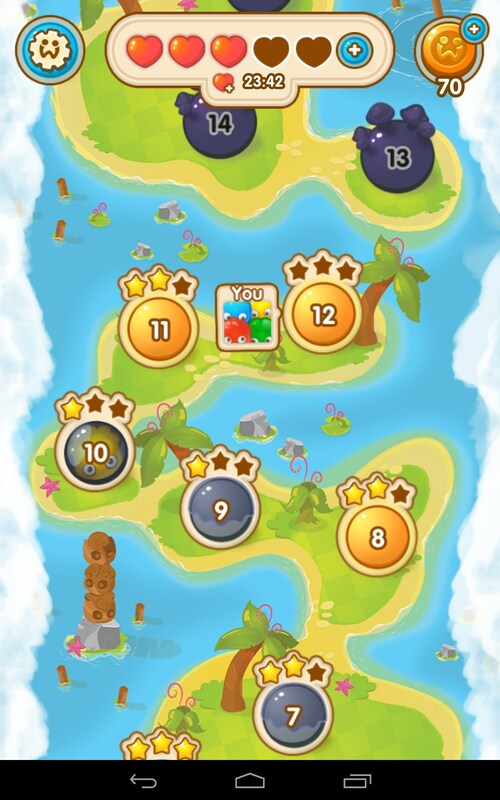 The game functioned smoothly and didn't drain my battery much. 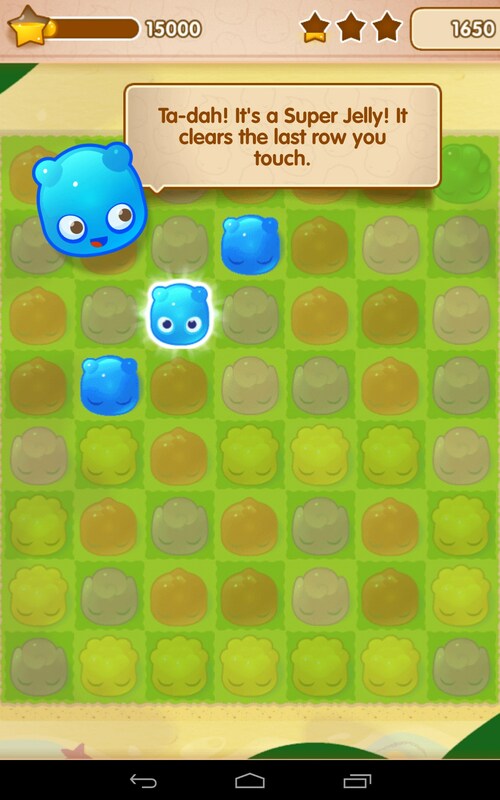 If you turn down the volume, this is one of those games you can play pretty much anywhere and kill a few minutes without taking a bite out of your phone's talk time. 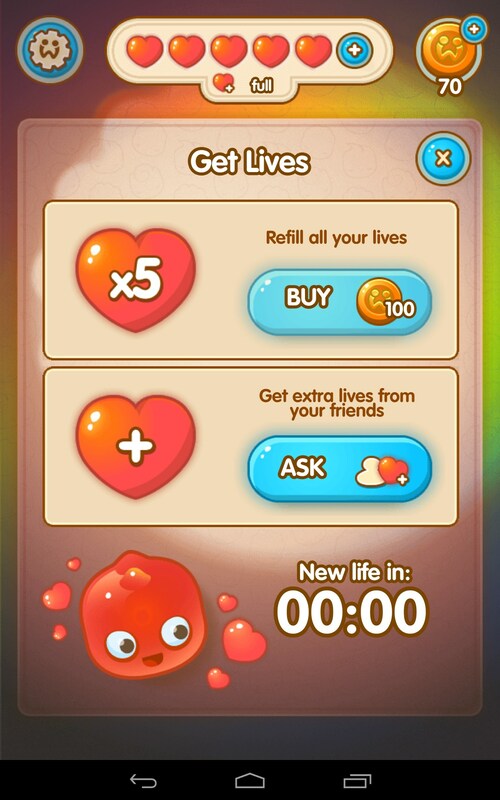 You only have 5 ‘lives’ to complete as many levels as possible, however you can buy and earn more hearts to replenish your health. 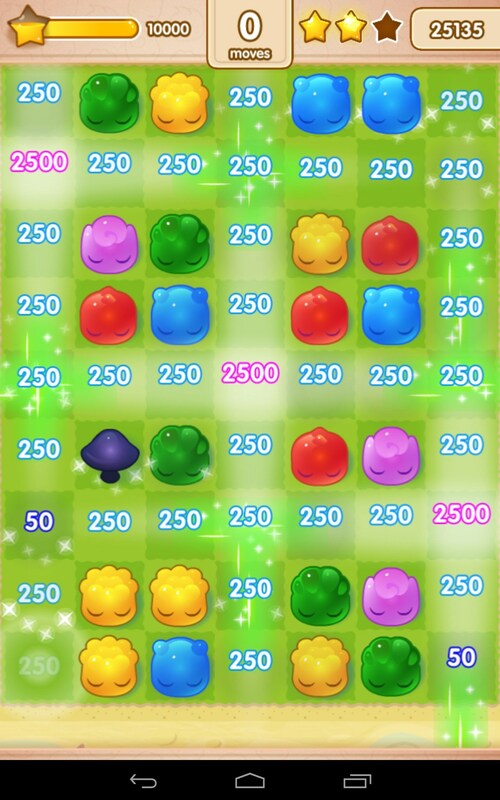 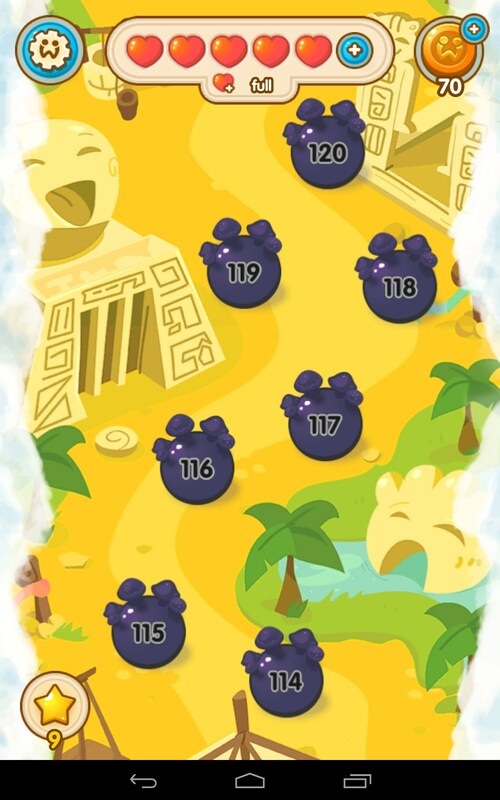 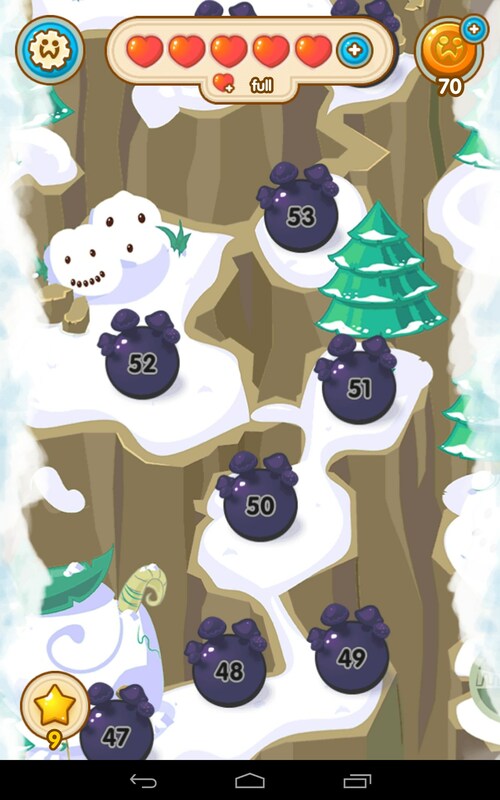 The game boards are actually quite large as the levels progress, and extend off the screen, so there are a lot of matches that need to be made before you can advance to the next level. 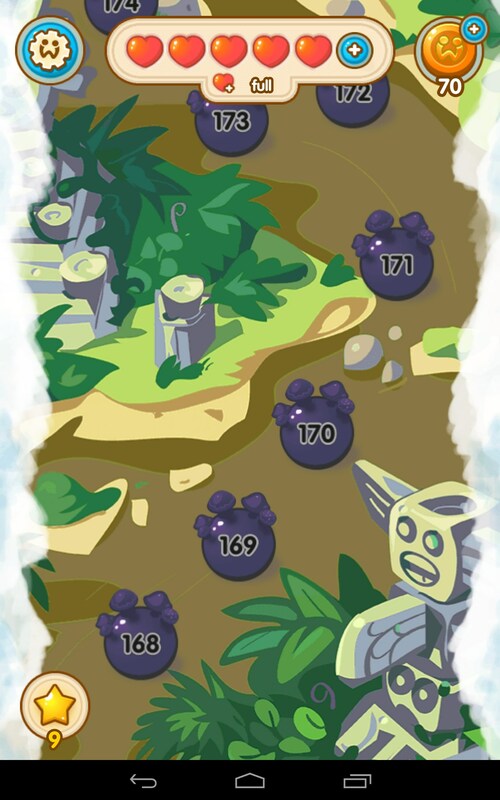 In all, there are over 250 levels to conquer, and they are broken up into different sets of locales and themes; all of that variety is sure to keep things interesting for some time to come. 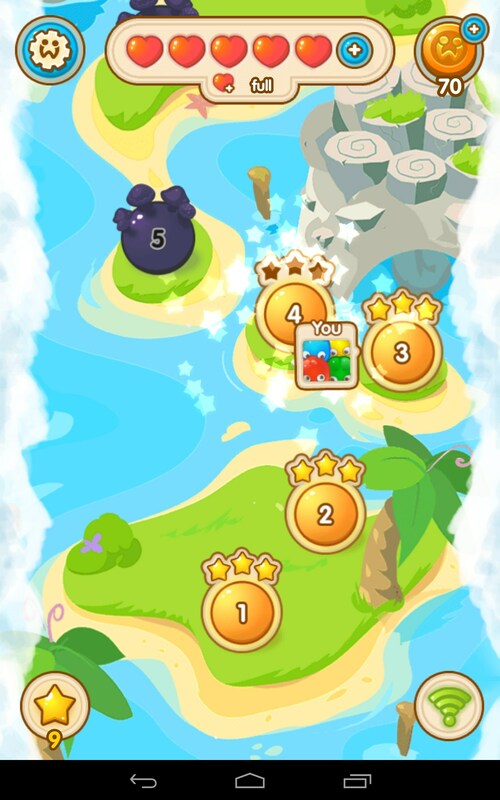 Jelly Splash is as fun as it is cute. 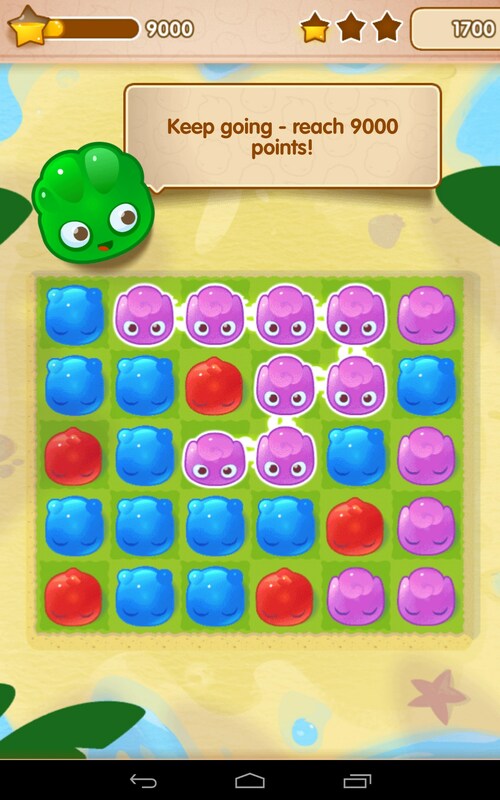 I think this would be a kid favorite for sure, and adult puzzlers will love it as well. I question if the game will get monotonous over time, but there seems to be plenty of power ups and abilities to keep you engaged. 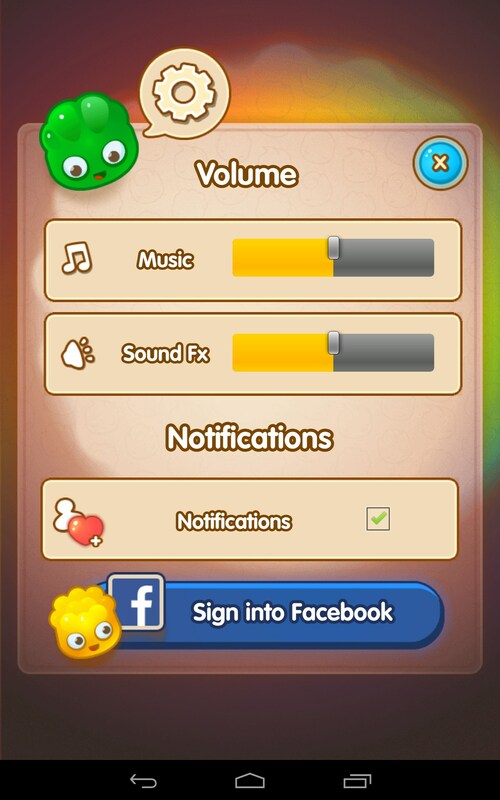 The sounds were funny and cute too. 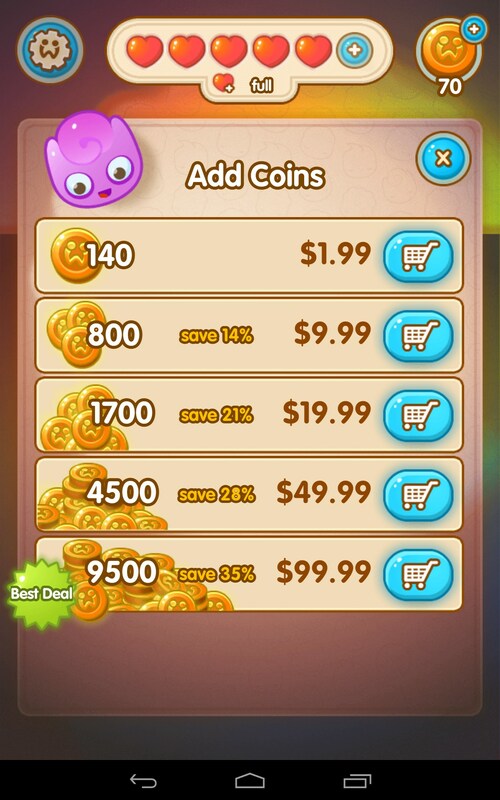 This one is worth checking out.